Homeowners who live near rivers, streams or beaches should understand the risk of flooding. However, too many homeowners assume that their standard insurance policies will cover flood damage. The agents at Simpson Insurance Agency can help our clients determine if they also need supplemental flood coverage to speed up the recovery process after the waters recede. Some homeowners believe that they can rely on federal disaster assistance funds to recover from flood damage. The affected area must be declared a federal disaster area by the President of the United States before residents can receive federal disaster aid. Even then, the assistance comes in the form of low-interest loans, not insurance claims. Only flood insurance policy holders are eligible to receive interest-free compensation for flood damage. Homeowners whose properties that sit in flood-prone areas should consult with a Simpson Insurance Agency representative about obtaining flood insurance. Nationwide, nearly one-fourth of all flood insurance claims come from property owners whose holdings do not sit near high-risk flood areas, so all property owners should learn more about obtaining flood insurance. According to federal reports, a home located in a high-risk flood area has a one-in-four chance of undergoing flood damage during a 30-year mortgage term. Homes in such high-risk areas are also five times more likely to suffer flood damage than fire damage over those 30 years. With those overwhelming odds, property owners in those areas must consider obtaining flood insurance to recover their potential losses. 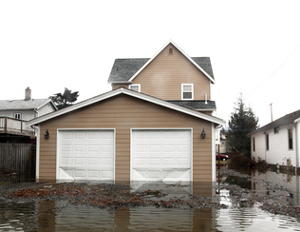 For more details on flood insurance, contact our agents at Simpson Insurance Agency today!